If you have a soft spot for teddy bear puppy dogs (the cutest furry pets going around)) you have landed at the right place! We’d like to introduce ourselves - we are Zanda and Brett, otherwise known as the puppy masters. We hail from Sydney, Australia and we are just two teddy bear puppy loving brothers who wanted to share our knowledge of these gorgeous pets with all of you. Ever wondered what makes a teddy bear puppy? What’s involved with keeping them, feeding them, training them, showing them off down at the park? We are fascinated with dogs and have completed a number of courses on caring for them, especially our beloved teddy bear puppy-sized dogs. We really enjoy writing about them! You may think it’s an odd combination – two guys from Sydney and miniature pooches. So how did this come about? Our interest towards teddy bear puppy dogs actually developed when we first came across them a number of years back. We noticed a number of working families in need of help when they went out for the day, so we started having a lot of fun by running a puppy babysitting business. It really helps the people who we puppysit for, and we obviously receive plenty of joy out of too. Our clients have always been tremendously happy with the services we offer so we thought we’d share our learnings online. Do feel free to get in touch with us if you live in the local area and are interested in puppy-sitting! 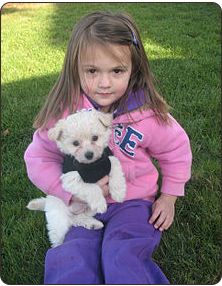 We have also been around teddy bear puppy breeders and have helped raise several pups. Through this and our puppy-sitting we have come across pets over the years with various ailments, so we feel confident writing about the health and well-being of teddy bear dogs. From time to time we also like to ask guest contributors to help write articles as they offer up differing points of view and it makes our site more well-rounded.. I know there are many, many dog lovers like us and we wanted to help you out as best we can. This thought led us to develop www.teddybearpuppdogs.com, a website that exclusively features teddy bear puppy dogs. Our special interest and knowledge gave us enough confidence to launch this website. We wanted to provide some valuable guidance to dog lovers on buying, adopting, caring for and growing teddy bear puppies. As a dog owner, knowledge is essential for you to maintain a healthy relationship with your pets. We also wanted to share some of our experiences with pet lovers across the globe which we sincerely hope helps you! Everything you might want to know is contained within this website, and of course if you feel we are missing particular pieces of advice make sure you let us know. One section which, of course, should be of great interest is the teddy bear puppies “breeds” section which goes through the various types of teddy bear breeds and cross-breeds which are available. We have also provided general information such as how to care information, training tips and what makes a teacup teddy bear puppy. Our website displays a few teddy bear dogs for sale and we are aiming to grow this section in the future – I know you’re all calling out for it! In the meantime we have listed all the breeders in the USA that we are confident can help you add a +1 to your family. Not only is all this information for educational purposes, it is also aimed at educating you so as to arm you with sufficient knowledge to make the right decisions when looking at teddy bear puppies for sale. 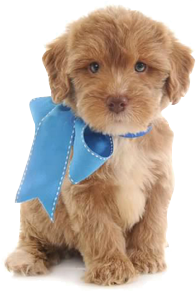 You can always find plenty of useful information in our website about teddy bear puppies. Just have a play around the site to explore various tidbits about these pets, or even just to browse the pictures of these gorgeous miniature dogs. If you are looking to buy one, we are sure that you will find the right breeder here through our new Breeders section. And don’t forget to view our awesome teddy bear puppies photo gallery!